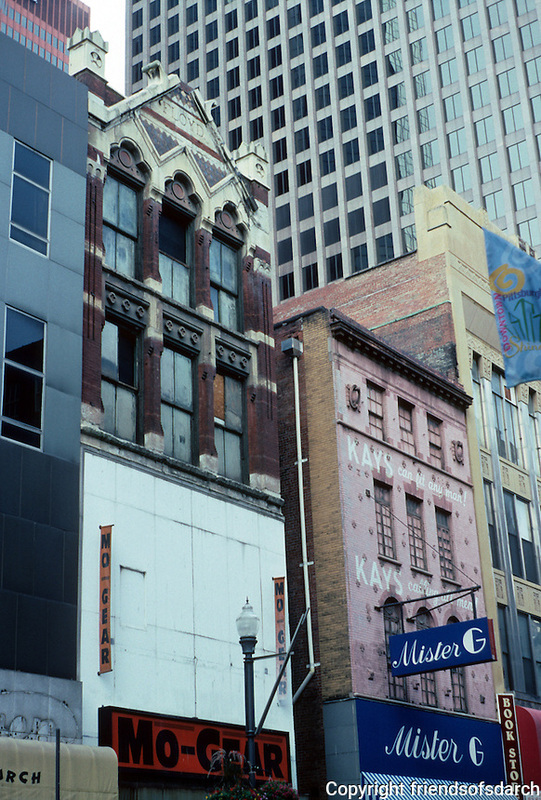 Pittsburgh: Fifth Avenue Facades--62 buildings along Forbes and Fifth were to be demolished in 2001. Defeated by Landmarks Foundation. Photo 2001.